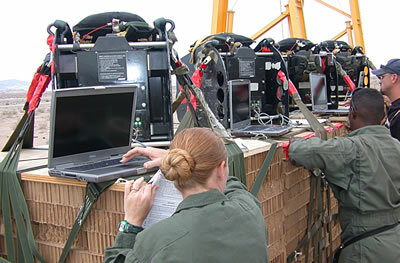 The MegaFly, developed by Para-Flite to meet these requirements was first tested in October 2006, demonstrating the delivery of 25,000 pound (11.3 ton) cargo from an altitude of 25,000 feet. 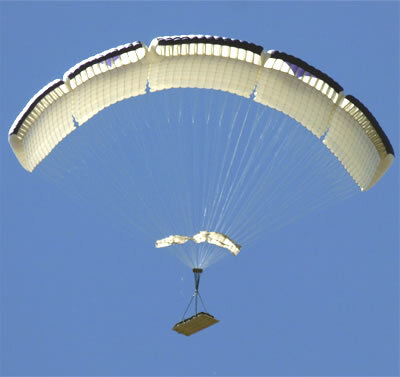 The system uses a 9,000 square foot, fully elliptical, gliding parachute, with a 170 feet span, approximately 20 feet less than the wingspan of a Boeing 747. 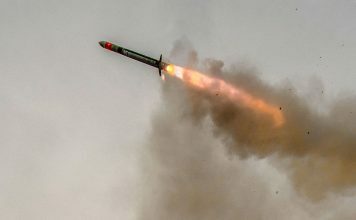 It can fly autonomously via GPS guidance for distances up to 40 kilometers to a designated point on the ground. 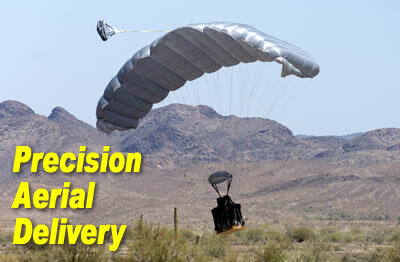 The MegaFly is composed of five modular segments which can be separated after the drop to facilitate recovery on the drop zone. 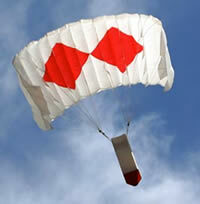 In most wind conditions, the Para-Flite JPADS systems can land on a roadway 200 meters long by 40 meters wide. 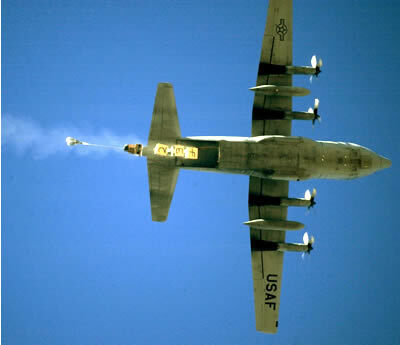 This equates to a 75% reduction in Landing Zone required area when compared to Circular Error Probable (CEP). 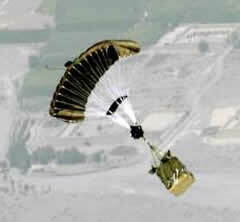 This type of landing strategy also increases the total number of suitable Landing Zones and decreases recovery time.